Surrounded in serenity by 5 hectares of stunning tropical garden, Novotel Bogor Golf Resort & Convention Center it is the perfect choice for leisure and business traveling needs. I look forward to welcoming you to Novotel. Novotel Bogor Golf and Convention Center is located 50 minutes drive from Jakarta and 20 minutes drive from Puncak. The hotel also provides 16 meeting rooms, with various capacity, modern facilities for your business needs and also various leisure facilities. Part of the MyResorts program featuring exclusive experiences for Le Club AccorHotels members. Novotel Bogor Golf Resort & Convention Center is located in Bogor Raya Golf Course, a short driving distance to Botanical Garden, Botani Square mall, Bogor Palace, Museum, Factory outlet and culinary area that are very popular for tourists. Verandah restaurant designed with open air and beautiful garden surroundings. Verandah provides a dining experience with a natural concept. Enjoy various thematic dinner buffets from International, Indonesian, Chinese and All around Asia cuisine. Capriccio suitable for business lunch, dinner and a romantic dinner either indoors or alfresco for an Italian taste. You can enjoy Italian pizza is made with a wooden fire oven. Unique dining experience where you can tailor your dish. 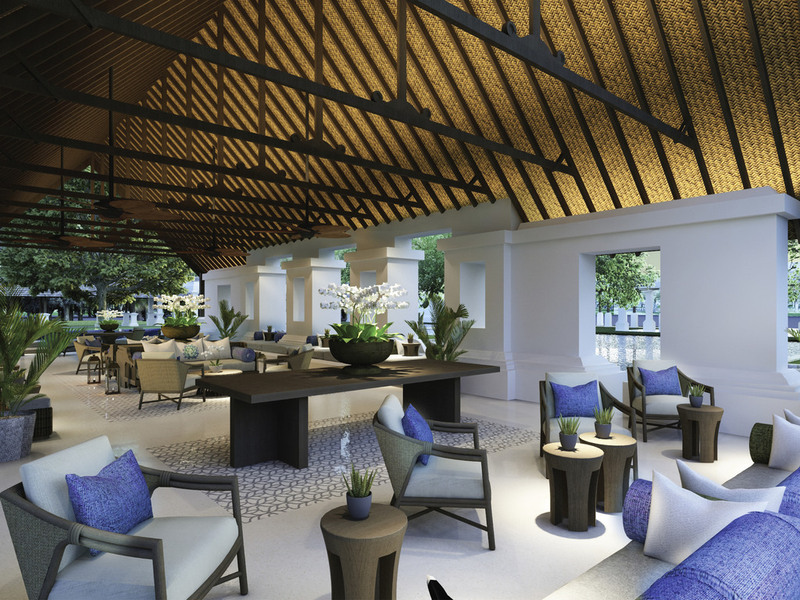 A pool side bar, offers drinks and snacks to make your relaxation time more enjoyable. The open-air Mahoni Bar is the best place to spend your holidays with friends and family. Guests will enjoy the intimate atmosphere overlooking the mountain accompanied by music.